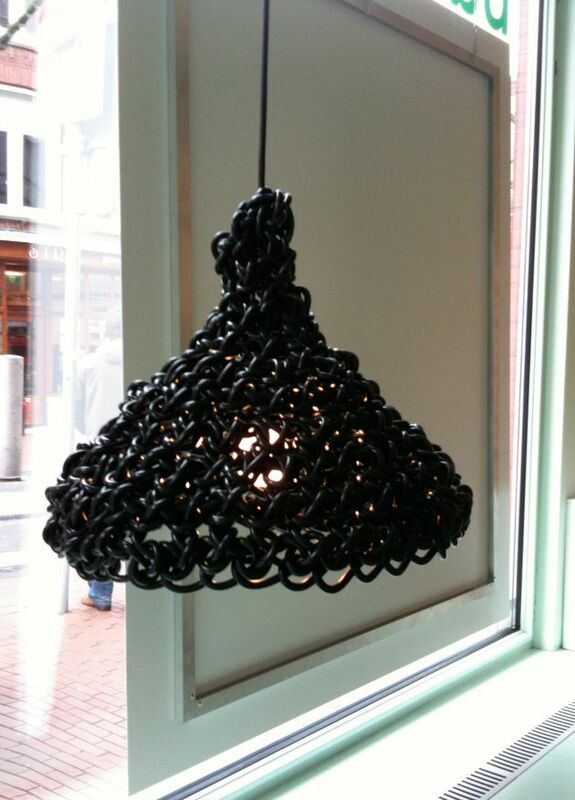 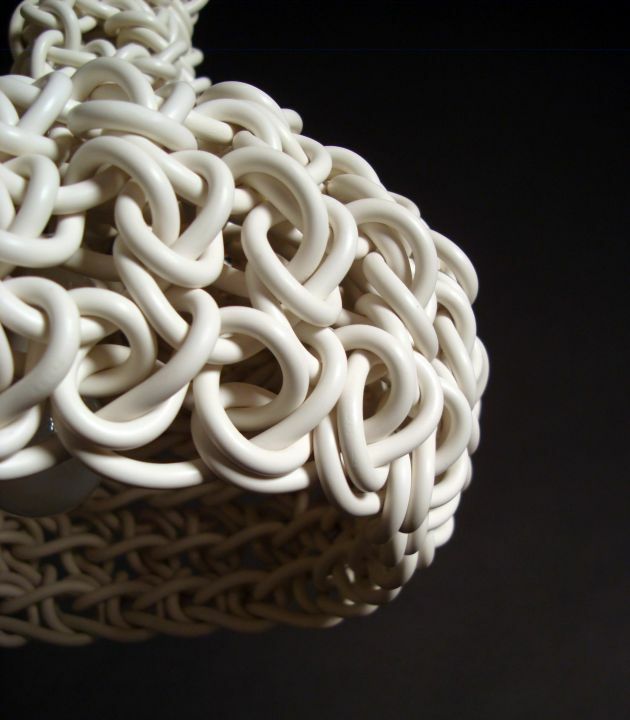 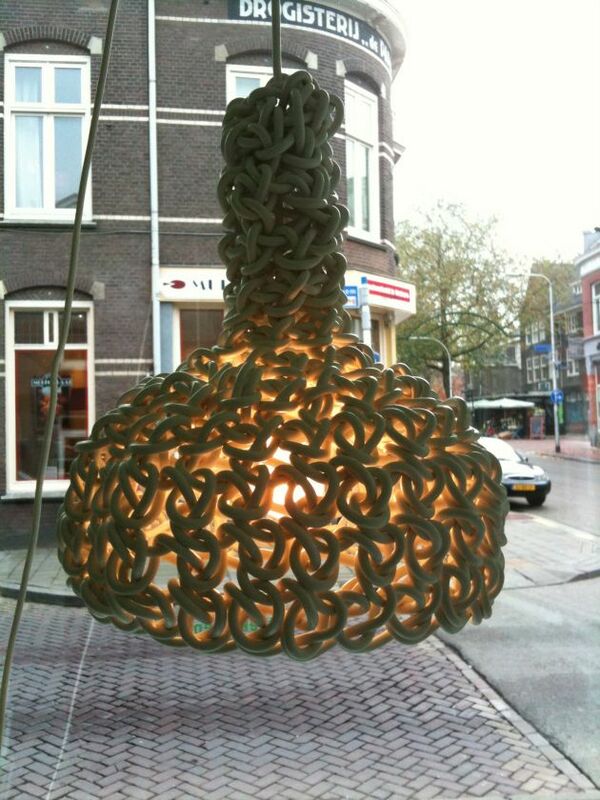 Young Designer Ka-Lai Chan, a 2009 graduate from the School of Arts in Utrecht, The Netherlands, has sent us photos of her ‘In de knoop’ lights. 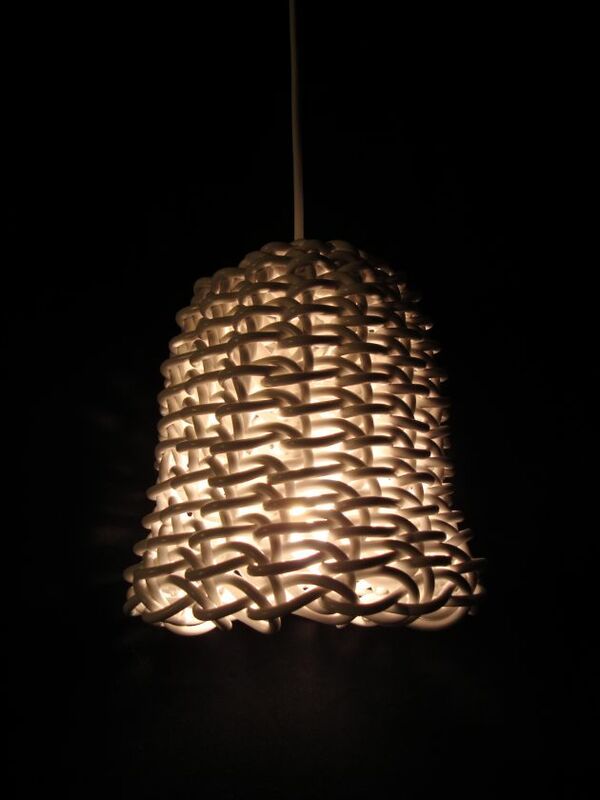 The idea is brought up by designing a lamp with the basic materials of a bulb connector and an electric cable. 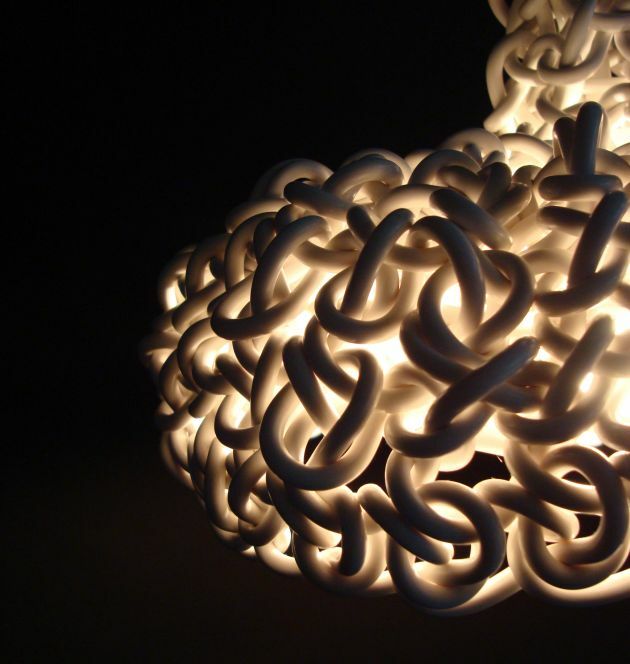 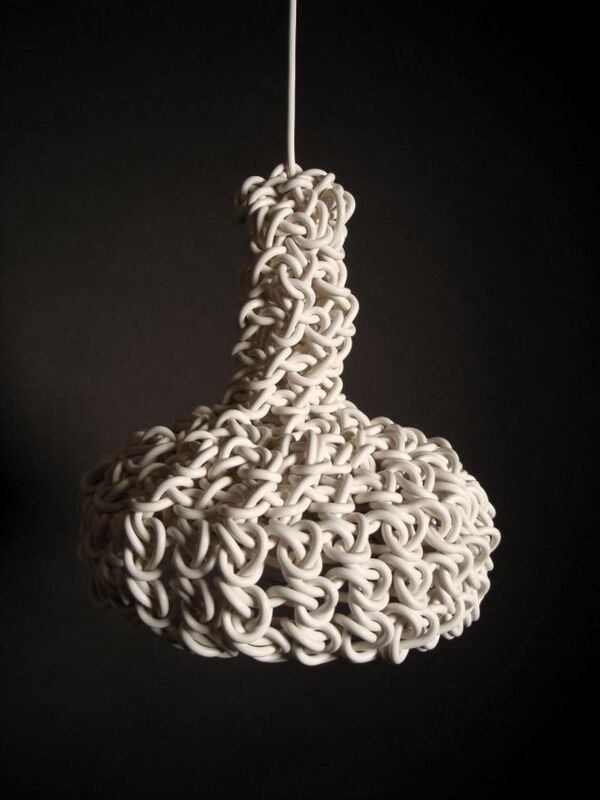 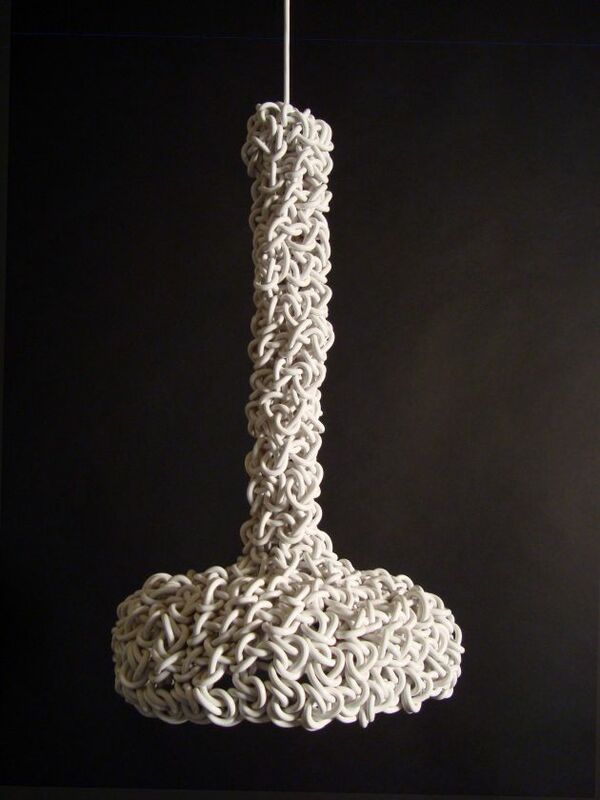 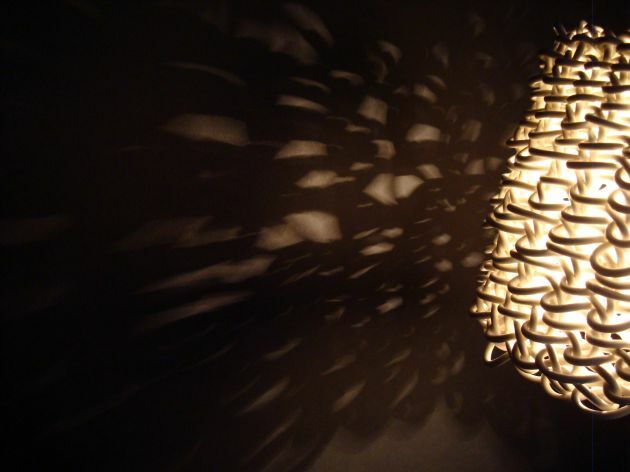 This lamp has been created by using a single electric cable, the lamp shade itself is created by incorporating a combined crochet and knitting techniques. 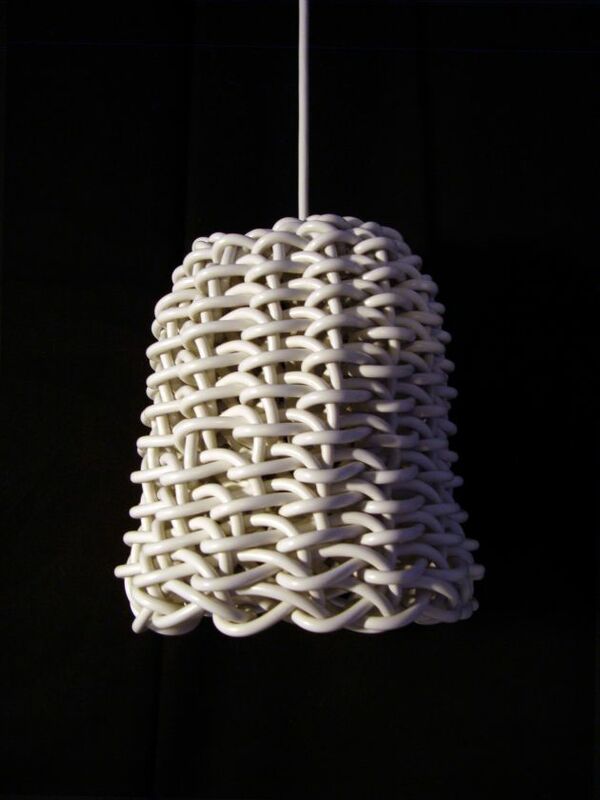 Each lamp is unique and handmade.